Part two of the Continuing the Dialog – Take 2 Series responds to: What i mentioned about the mossad and cia being the ones responsible for terrorism, that’s what the mossad is there for isnt it? As I referenced in my previous response to you on the Mossad, the Mossad was only created in 1949, so it certainly has no connection to the sadly long and tortured history of Arabs persecuting and massacring Jews throughout Arab controlled lands from Spain in 1066, Fez in 1912, Damascus in 1840, or Hebron in 1929 (among countless others). 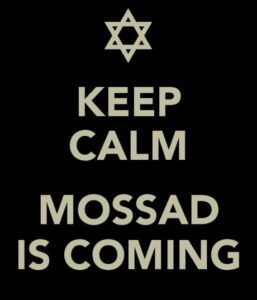 As for what the Mossad “is there for,” like its counterparts at other democratic countries, the Mossad’s purpose, as the national intelligence agency of Israel, is espionage. So unless you think all countries that have spies (which is all countries) are by definition engaging in “terrorism,” then you continuously making the claim Israel’s intelligence agency is engaging in “terrorism” is at best specious hyperbole or at worst based on your rather obvious bigotry and hatred for Israel … but not on facts. Some more facts related to the Mossad, which you deride with either hyperbole or Anti-Semitic animosity. In the Spring of 2016, a wounded 5 year old Syrian girl was brought over to Israel, at great risk to the Israeli commandos who helped bring from war-torn Syria into Israel for medical treatment. At Israel’s Rambam Medical Center in Haifa, while treating her gunshot wounds the Israeli doctors discovered this little girl had cancer and needed a bone marrow transplant in order to survive. Unfortunately, her only relatives who might have matching bone marrow lived in enemy countries that do not have diplomatic relations with Israel. That is where the Mossad stepped in. The Mossad found one of the girl’s relatives living in such an “enemy state,” confirmed he was a match, and then launched an operation to sneak him out of his country and get him into Israel for the bone marrow transplant procedure, which saved the 5 year old Syrian girl’s life. In 1977, the Mossad received an assignment from then Prime Minister Menachem Begin to rescue thousands of Ethiopian Jewish refugees in Sudan and get them to safety in Israel. To accomplish this mission, the agency established a covert forward base in a deserted holiday village in Sudan, and deployed a handful of Mossad operatives to launch and oversee the exodus of the refugees to Israel, by sea and by air, in the early 1980s. This Mossad team pulled off an incredible operation, at great personal risk to themselves, running a vacation spot for wealthy tourists by day, while at night they launched daring operation after operation through the Sudanese desert, which in under 5 years rescued over 18,000 Ethiopian Jewish refugees trapped in one of the most dangerous places on earth, the Sudan. And in sharp contrast to the Arab, European and American slave trade, making Israel the only country in the world to bring thousands of people out of Africa to free them, not to enslave them. And in a more traditional cloak and dagger role, it was the Mossad in various intelligence operation from 2003 through March of 2007 that determined the extent of the Syrian butcher Assad’s program to build a nuclear reactor (with the help of North Korea), which led to the successful Israeli Air Force strike on the Syria nuclear reactor on September 6, 2007. Talk about a good deed. The butcher Assad has already demonstrated over and over again his willingness to use chemical weapons, including on his own people. Imagine such a tyrant with nuclear weapons. 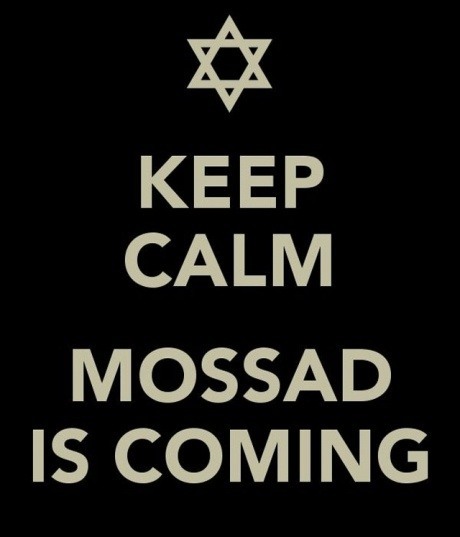 Thank G-d for the Mossad. If only Israel’s neighbors used their military and their intelligence services at the direction of democratically elected leaders instead of tyrants. Peace in the Middle East would be a lot more likely. So instead of perpetuating absurd claims about one of the world’s greatest intelligence agencies, claims that do nothing to serve the cause of peace, perhaps you can promote ideas that could actually promote peace, such as more democracy and less tyranny and corruption in Arab controlled lands. Micha Danzig served in the Israeli Army and is a former police officer with the NYPD. 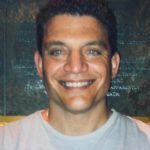 He is currently an attorney and is very active with numerous Jewish and pro-Israel organizations, including Stand With Us, T.E.A.M. and the FIDF. He is also a frequent guest on the One America News Network, including shows like The Tipping Point and The Daily Ledger where he is called on to discuss matters related to Anti-Semitism, Israel and the Middle East.